B&W image of a page from a book. 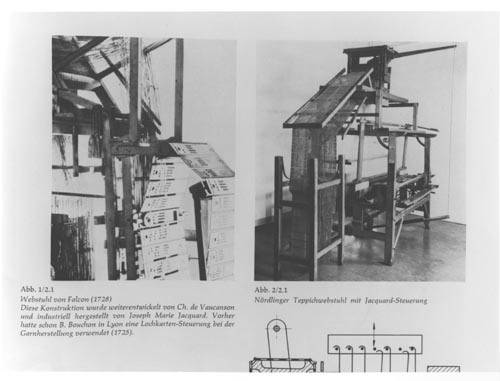 There are two pictures one showing the punched cards and the other the mechanism for reading the cards. The captions are in German.